Armenia (GB) Your browser does not support any audio element. The smallest of the former with just under 30,000 km² USSR republics lies between Georgia. Azerbaijan, the Iran and the Turkey, The country corresponds to the northeastern part of the former much larger Armenian settlement area and included in the antiquity in the 7th century BC The entire Anatolian, today Turkish territory. Since the 15th century, large areas belong to Turkey. 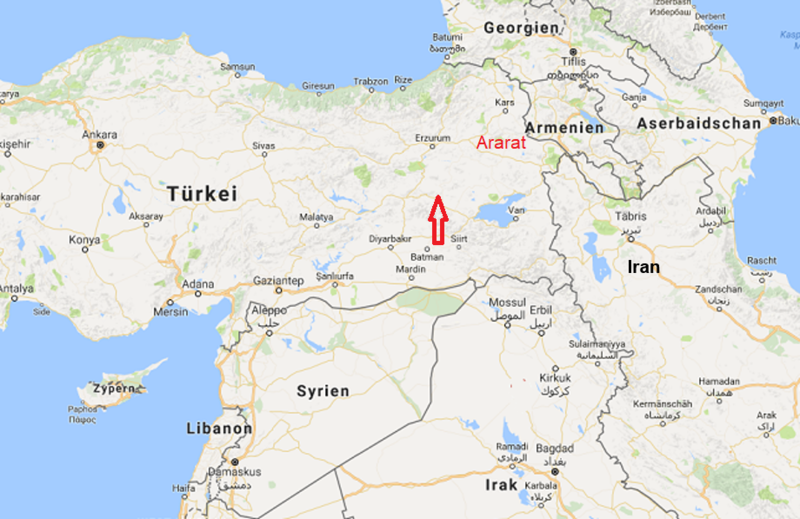 Just behind the border lies the mountain Ararat where according to Bible landed after the Flood Noah's Ark. The south of the Caucasus lying area counts Transcaucasia, a smaller area belonged to the historical in ancient times Mesopotamia that stretched from here to the south. Here lies the origin of the cultivated grapevine and viticulture, which according to the most recent research in today's Turkey is suspected in Southeastern Anatolia (arrow). The legendary Argischti I (reigned 785-753 BC) was king of Urartu, a forerunner of today's Armenia. This turned his capital Tushpa into a garden city with numerous vineyards. Excavations in the ancient city of Teschebaini (Karmir Blur) brought to light wine cellars with many large earthen wine vessels (pithoi), which were labeled with vintage and quality specifications. The Greek author Xenophon (430-354 BC) reports that the ancient Armenians not only fermented grapes but also wheat, barley and beans and in craters (Vessels). The very strong wine was mostly mixed with water and sucked with a reed from the vessel. The high culture of wine experienced through continuous Arab and Turkish ideas and the associated Islamic alcohol ban repeatedly setbacks. Akhtanak r Akhtanak, Haghtanak ? Areni r Areni Chernyi, Areni Noir ? Cabernet Sauvignon r - ? Kakhet r Cakhete, Kachet, Kakheti ? Karmrahyut r Karmrahiut, Karmraiute ? Lalvari w Burra, Dana Bouroun, Glglan ? Megrabuir r Karmrahiut, Karmraiute ? Pinot Noir r - ? This page was last modified at 18 February 2019 at 17:18.